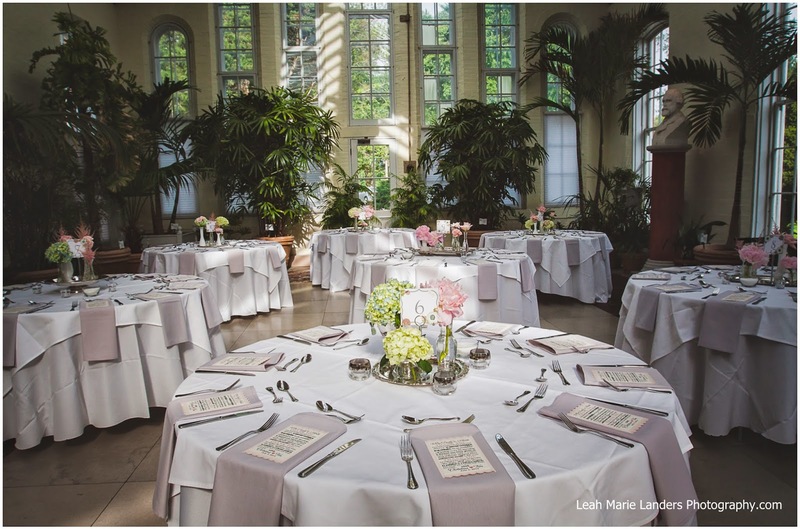 Christina and Tim celebrated their marriage this past July with an outdoor ceremony and indoor reception at the Piper Palm House. 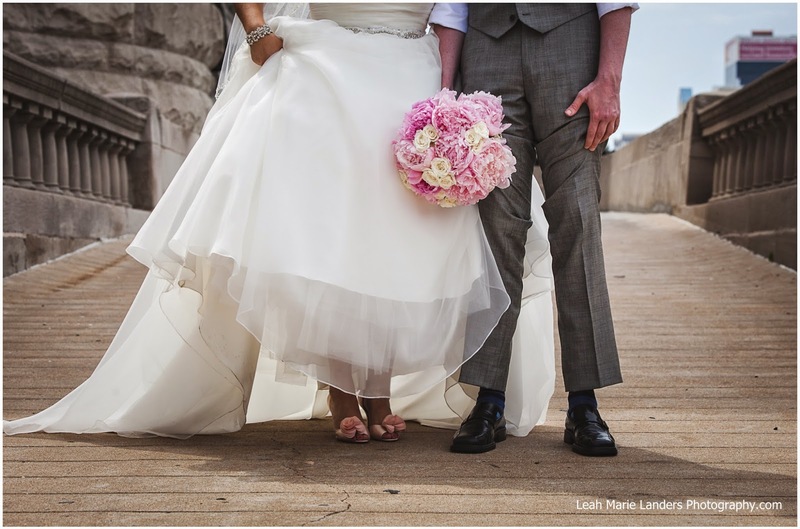 Take a look at these wonderful images from Leah Marie Landers Photography. 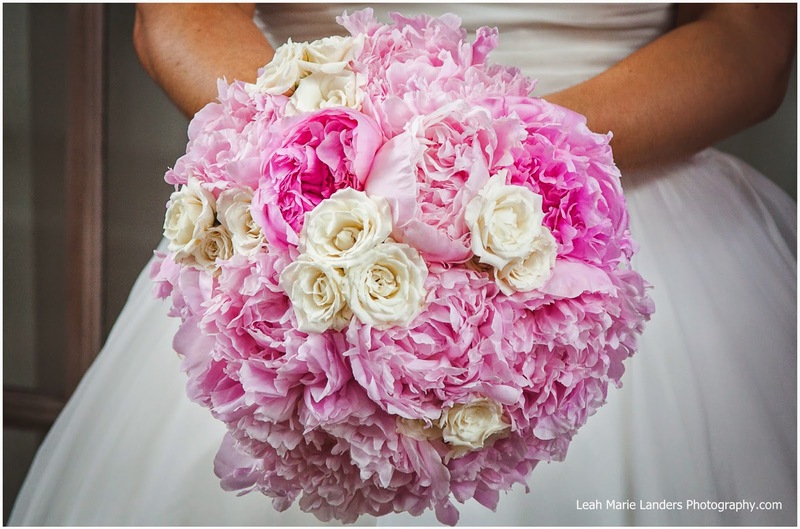 Christina’s bouquet was a lush mix of light pink peonies and ivory spray roses. It was one of the most gorgeous bouquets we did all summer! 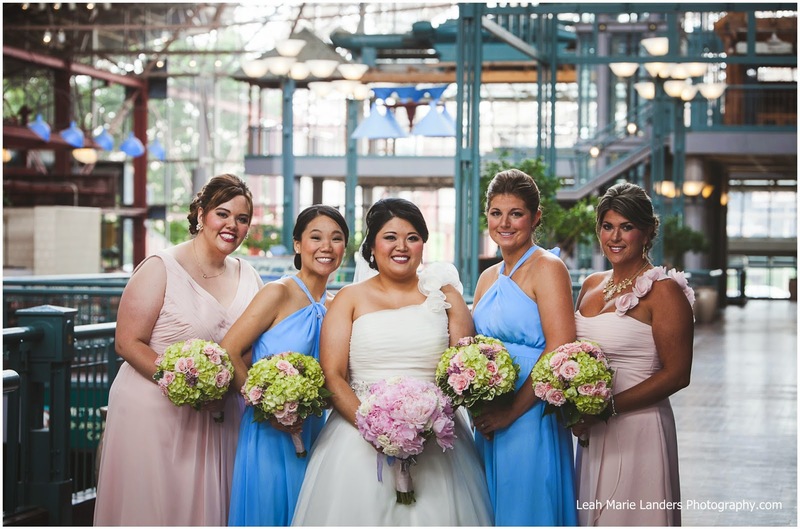 The maids carried a similar style of bouquet with pops of bright greens added in. 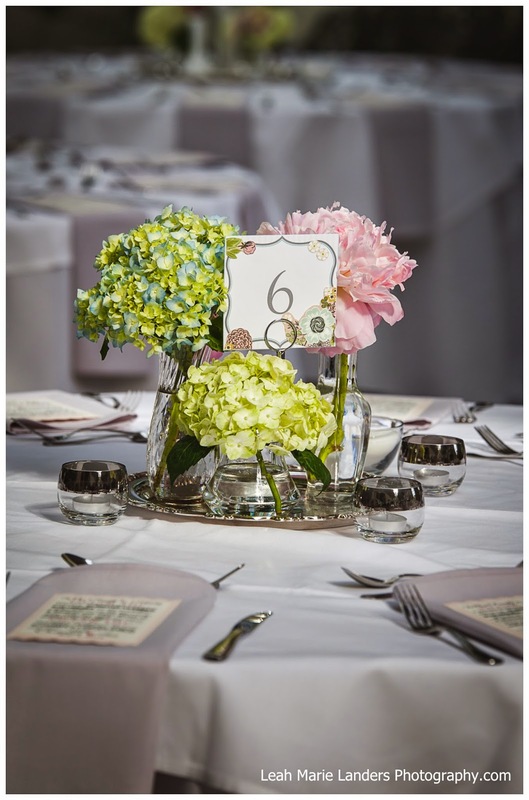 The bride added a personal touch to her centerpieces by providing the glass bottles and silver trays for each table. 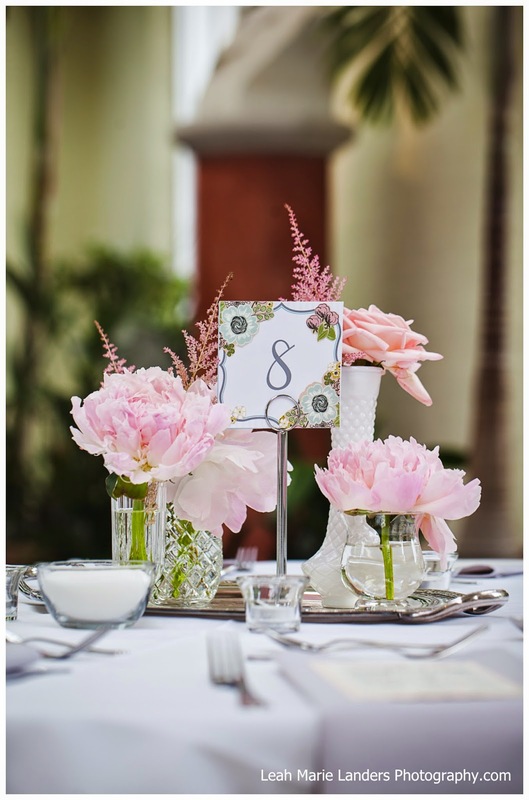 We added in wedding flowers in her colors to soften the whole tablescape. Because the collection of bottles and trays was different for every table, each centerpiece was unique. All our best to Christina and Tim! We had such a fun time working with this sweet couple and their families!